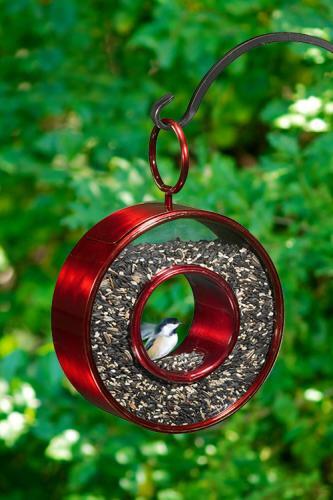 The Fly Thru Bird Feeder is the perfect addition to the garden setting - a unique design that is not just simple but quite elegant. Available in 3 finishes: Venetian Bronze, Ruby-Red or Solid Polished Copper. Very easy to hang and due to its design - easy to know when it is time for more bird seed. The Fly Thru Bird Feeder has a 5 pound seed capacity.